Chaired by Drs. 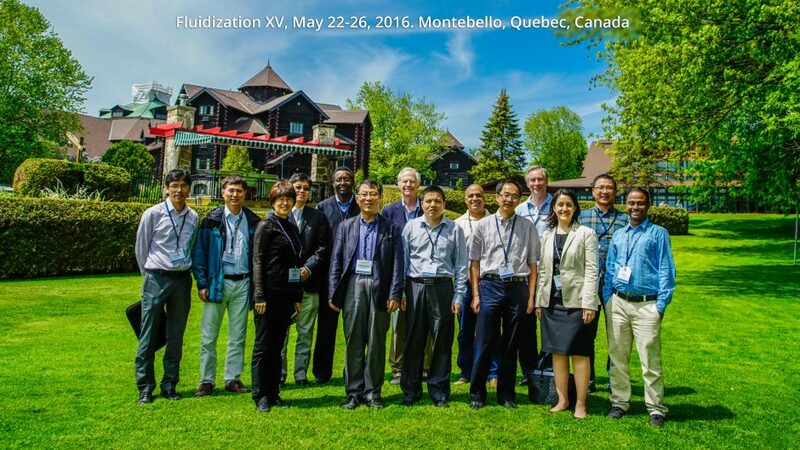 Xiaotao Bi, Jamal Chaouki, Franco Berrutihost and Ray Cocco, Fluidization XV conference was held in Montebello, Quebec, Canada during May 22-26, 2016. The conference was dedicated to Maurice A. Bergougnou. More than 200 participants attended the conference. Around 80 papers through the rigorous peer review will be published as a special issue on Powder Technology. The four-day conference consisted of 8 keynote speeches and 3 parallel sessions. Keynote speakers include professors Guangwen Xu (Institute of Process Engineering, CAS, China), Olivier Simonin (Institut de Mecanique des Fluides de Toulouse CNRS/INPT/UPS), Piero Salatino (Universita Degli Studi Di Napoli Federico II, Italy), Leslaw Mleczko (Bayer Technology Services GmbH, Germany), Thierry Gauthier (IFPEN, France), Liang-Shih Fan (The Ohio State University, USA), Ludvik Martinu (Polytechnique Montreal, Canada), Guangxi Yue (CAE, Tsinghua University, China). All participants presented their the state of the art researches and discussed actively with each other. The topics include Fluidization of irregular shape particles, micro-fluidized bed reactors, clean energy processes, fundamentals, coating technologies and fluidized nanoparticles, chemical looping combustion (CLC) and many more. Many alumni of Fluidization Research Centre also attended the conference, including John Grace, Allan S. Issangya, Tingwen Li, Lifeng Zhang, Xuantian Li, Dong Hyun Lee, Xinhua Liu, Jamal Chaouki, Arturo Macchi and Zhong Zheng and M. Hafizur Rahman and Dening Eric Jia.